Flash forward to the future, where a billionaire (Rainn Wilson, you know, the guy who played Dwight in The Office) funds this huge sea, er… lab. Somehow, this sea lab is an investment and they need to prove the ocean is even deeper than anyone ever thought to make money. I don’t understand how that makes people money, but OK. A crew is sent, the ocean turns out to be super deep and also there is a huge fish. The huge fish attacks the crew and gets stuck. For reasons that make no sense, Statham is the only person who can save them… even though he is in Thailand, drinking away his sorrows of not saving all those people in the prologue. By the way, we are led to believe this fortysomething has been drinking on a beach for years and somehow still has abs of steel. Then Statham goes to save people and after that, it’s like Snakes on a Plane, but with huge sharks the size of half a football field. After Statham saves the people, the billionaire needs to find the huge shark because, again, somehow this is an investment. So, the crew goes out to, you know, find the shark. I was yawning and trying to keep awake by the three-fourths mark. This movie could have cut a good 20 minutes and still told the same story. So, I have questions: Why does everyone keep falling off boats? I’ve been on tons of boats. I’m also pretty clumsy and I have never fallen off a boat. Also, why are we getting into little boats to catch the huge dinosaur shark? This sounds like a bad idea. Also, why does the shark want to eat people so bad? By comparison, it would be like humans stalking bugs to eat. At best, we don’t even make an acceptable snack. Also, one more time here, HOW DOES FINDING A FISH MAKE BACK A BILLION DOLLAR INVESTMENT? Am I possibly investing wrong? 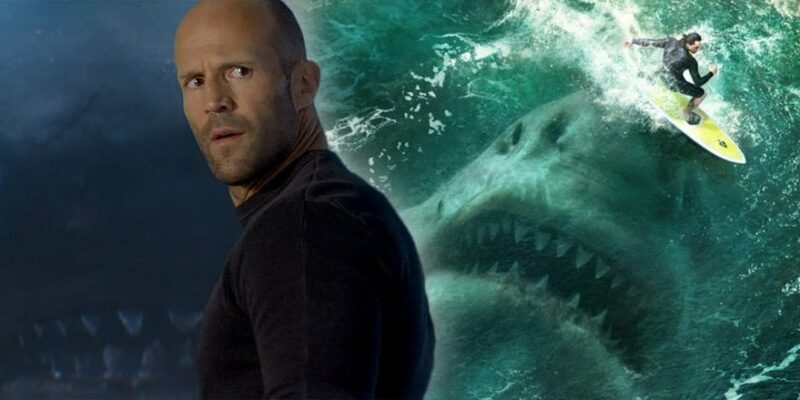 Lastly, how are you going to make a movie where Jason Statham literally fights a dinosaur shark and it not be a goofy comedy? The Meg is neither a summer action comedy, nor a heart-pounding action flick. It’s also far too bloodless to be considered horror. Basically, the movie just falls flat. It is just so predictable. Everyone goes out in a boat and everyone falls off the boat multiple times. IF you like Statham movies or big animals on a rampage movies, you will probably like this film. Otherwise, you will feel like two hours of your life have been sucked away, Two stars. I give this terrible, irritating movie two stars.